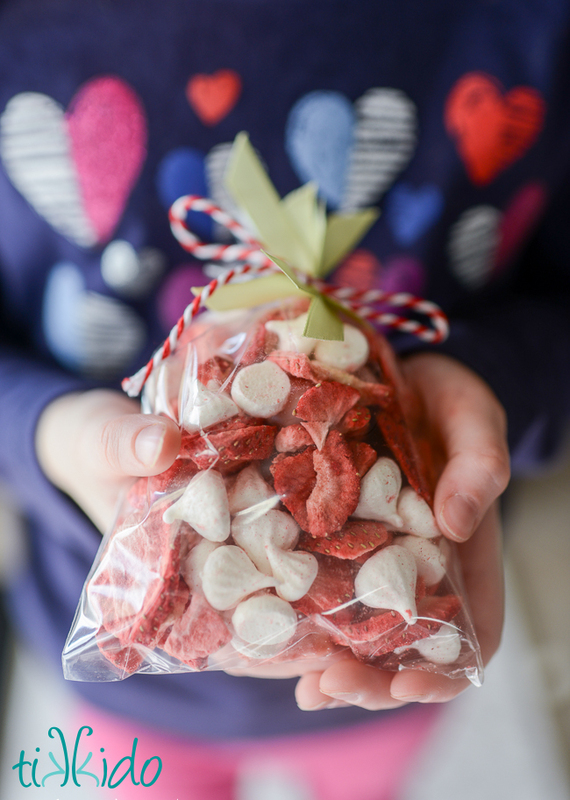 I try my best to always serve my kids’ healthy snacks after school. Both my son and daughter love fruit so I am drawn to preparing fun fruit snacks. 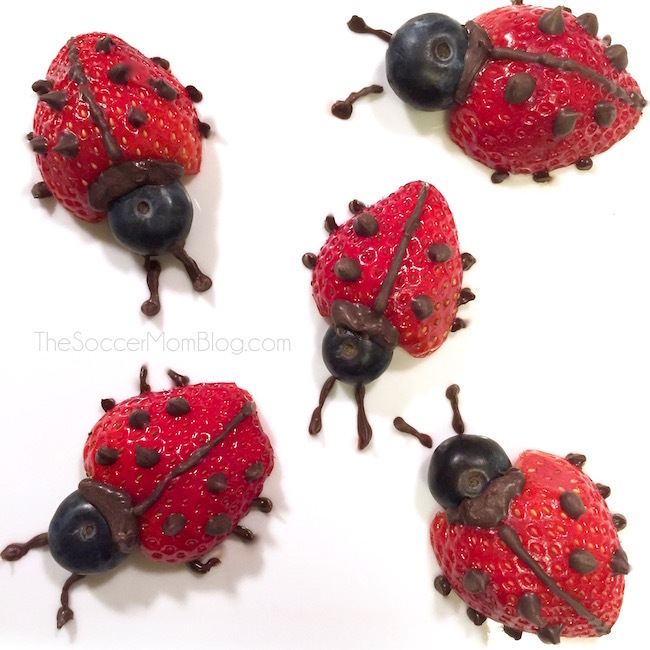 Looking for great fruit snack ideas? 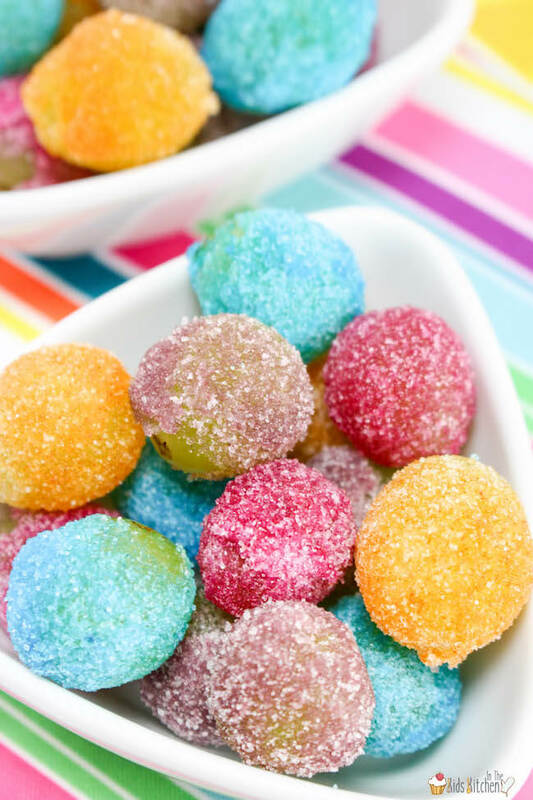 Check out this list of 7 easy fruit treats. 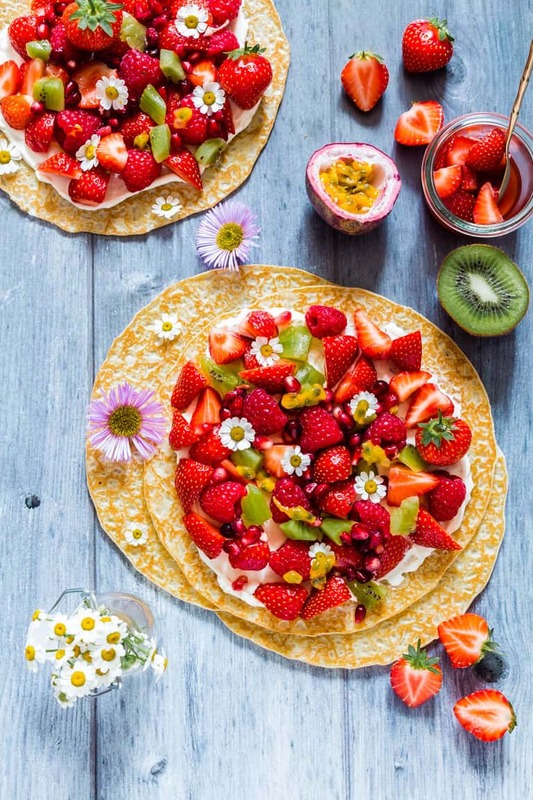 1 > FRUIT TACOS WITH MAPLE YOGURT DRIZZLE from Veggie Desserts. 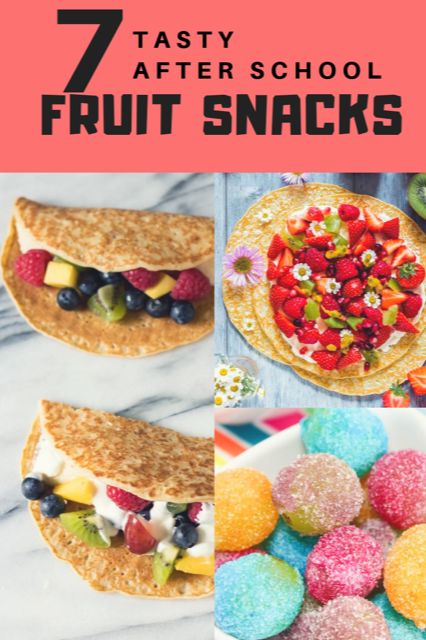 I’d love to know, what fruit snack are you planning to make for your kids? These all look so good! I like the fruit tacos! 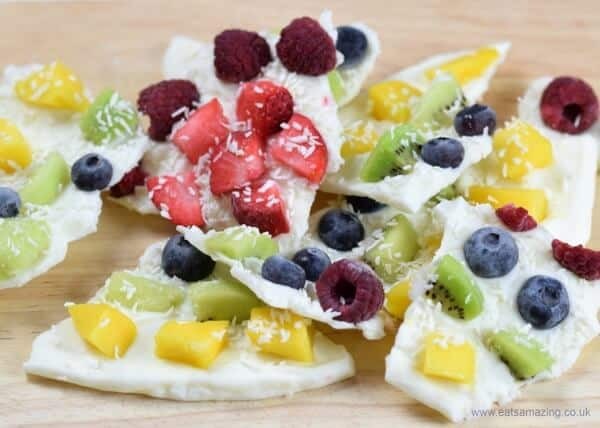 fruit pizza – what a great idea! Gosh these are great ideas, I want to try out one with crepe and frut. 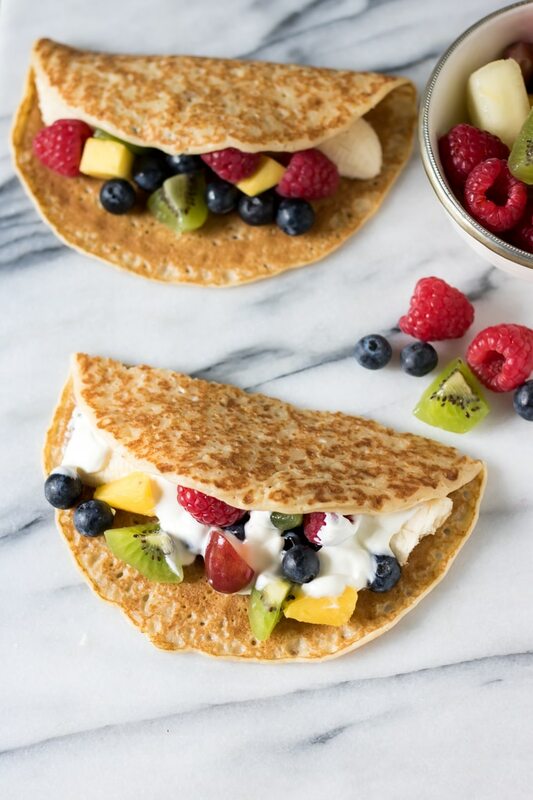 The fruit tacos look delicious! 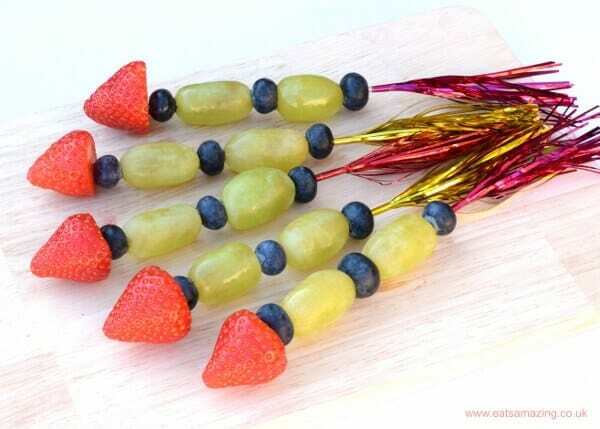 never any issue getting the kids to eat their fruit, but this variety of serving possibilities is great! I love the Rainbow Fruit Bark! Lots of great fun fruit snacks, I love the grapes! Capture Fun Moments with the Fuji Instax Mini 9 Camera + Giveaway!